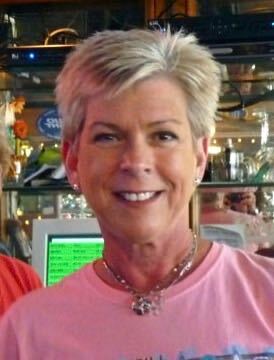 Jayne Woolridge Loesch, 61, of Kitty Hawk, NC, formerly of Hopewell, VA, passed away Sunday Dec. 23, 2018. Born in Hopewell, Jayne is preceded in death by her parents, Harold H. Woolridge, Jr. and Louise Bishop Woolridge, and son Adam Tatum. Jayne is survived by her husband Lawrence F. Loesch, brother, Harold H. Woolridge, sister, Jan Woolridge, sister-in-law Margaret A. Loesch, and numerous nieces and nephews. Jayne had the happiest outlook on life, a smile that warmed hearts, and an infectious laugh. Jayne loved to fish and was a proud member of the all female fishing team, Fish Tales. Her 30-plus year career in the restaurant industry gave her the opportunity to meet many wonderful people who became lifelong friends. There will be a Celebration of Jayne’s Life on Sunday Jan. 27, 2019, from 3 p.m. to 6 p.m. in Kitty Hawk at the Black Pelican Restaurant. There will also be a Celebration of Jayne’s Life at the VFW in Hopewell on Saturday Feb. 9, 2019 from 3 p.m. to 6 p.m. Very sorry to see Jane’s obit. She was someone I could never forget. Always happy and smiling, a great people person! My heart aches for her twin, Jan. I’m a twin too and can’t imagine. She worked with my son and he was quite partial to her as well because she was always nice to him. Truly a loss for the Outer Banks.